As many of you already knew, here at Performance Edge Chiropractic we treat some of the top Athletes not only in the area, but the world. Recently, Mark Burik was featured on the AVP website. Mark has been a long time friend and patient. 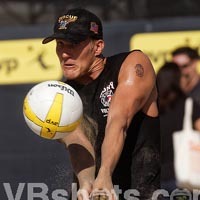 He is a pro Volley ball player for the AVP. He has coached local talent. And has even been a strength and conditioning coach in our local area.